​Filmed on North Uist in the run up to the Referendum on Scottish Independence, Yes? 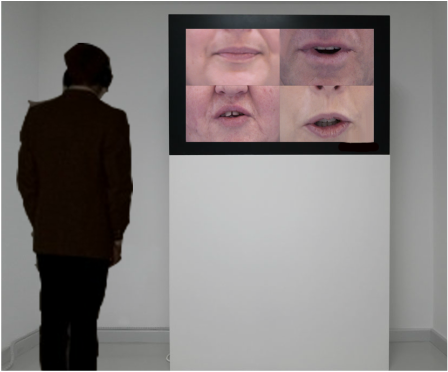 investigates the complexities and contradictions between human desire, our individual and collective aspirations and the practicalities of their realisation. Reflecting the decisions people were asked to make about the future of their nation without knowing the implications of their vote, there being no blueprint for independence. Random people responded to a variety of closed questions ranging from very profound to the completely trivial. Just as asking the people of Scotland to choose either 'Yes' or 'No' to independence did not represent the full spectrum of choices for the future of Scotland, my ballot asked people to vote for which one of the eight possible books (A to H) that I could make, using the images of 'Yes' and 'no' signs from around the island. Some information - possibly misleading and without any clear description of what each option will be like is given. 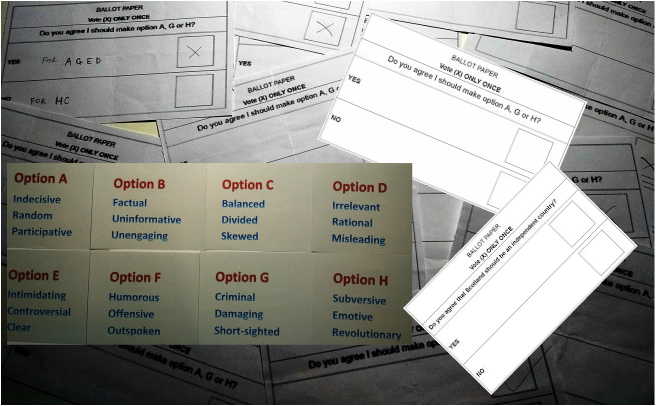 ​The voting slips made to be almost identical to those used in the referendum was also confusing in that it asked 'Should I make option A, G or H? yes or No' However there was still a decisive vote for option A! 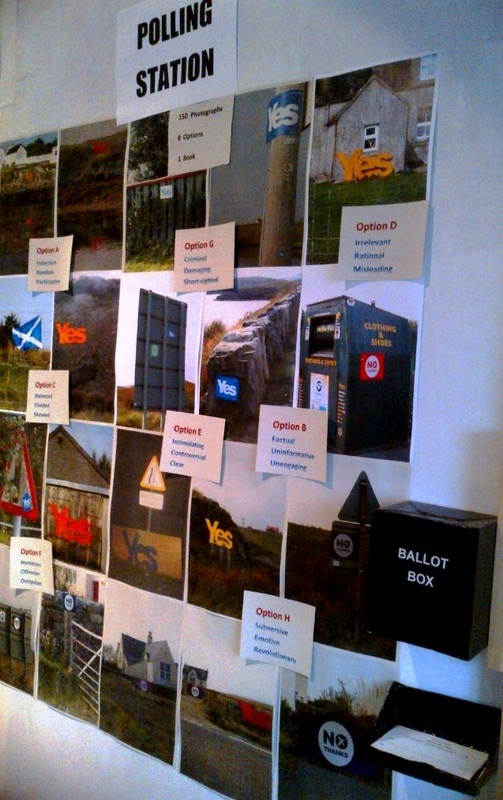 In the weeks preceding the Scottish referendum on Independence, the landscape of North Uist was littered with a proliferation with ’YES’ and ‘NO’ signs and stickers as residents sought to make their voting intensions known and influence those who may have been as yet undecided. 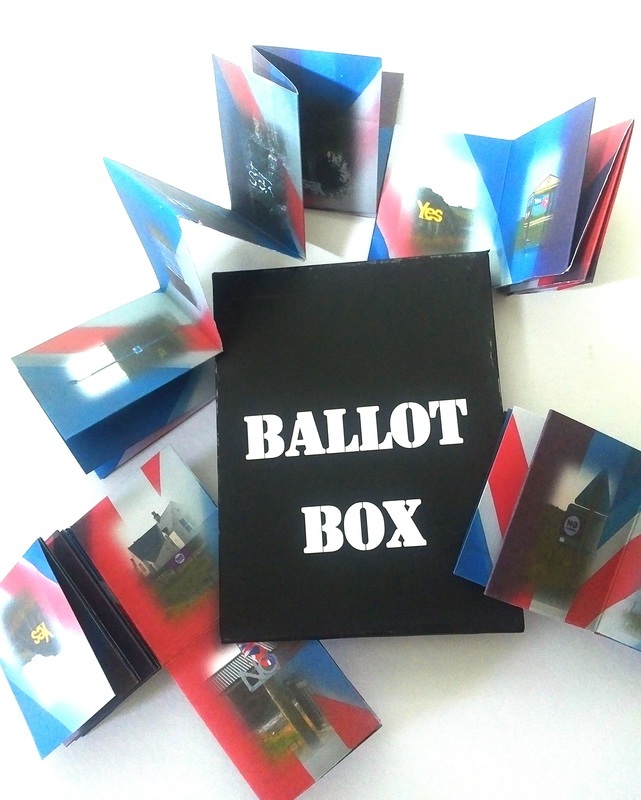 These books, the format of which was chosen by ballot, document some of the propaganda that was displayed in a way in which viewers can participate in their own game to make a selection, perhaps allowing chance to dictate the outcome, or by flipping the booklets until their desired outcome is confirmed .